Does Canada Admit Criminals As Immigrants? Is it foolish to trust people? Like your neighbours? Like your neighbours who’ve just arrived from another country? Or are you a misinformed fool for not wanting to trust someone from another country and perhaps another culture? How do we as residents of Canada trust each other? That’s a good question, because Canadians do in fact have fairly high levels of trust towards one another. In the World Value Survey that asked the question: do you agree with the statement “most people can be trusted”; slightly more than 41% of Canadians agreed. That’s higher than the United States by a few percentage points and significantly higher than countries like Chile or Brazil. But how do new Canadians feel about trust? Clearly, they trust Canada to be a great place to move to and start new lives and live and work. But what was trust like in their home countries? Let’s look at the Top Ten Countries of Birth of recent immigrants to Canada and compare them to levels of trust among the populations of each source country. The crime rate – as measured by intentional homicides per 100,000 inhabitants – in each of the source countries begs the question: what is the relationship between violent crime (and crime and corruption in general) and levels of trust in any given country? And how does that affect the values or the goals that immigrants from those countries might have had when they chose to start their lives over again in a new country like Canada? First of all, as we’ve already written about, increased levels of immigration to Canada have resulted in, or coincided with, lower crime rates for the general population over the last several decades. Now it might be that changes to criminal laws, or to policing practices and policies, or other factors like Canada’s strong economic performance, also play into this result. But drilling down a little further we see that cities in Canada with high levels of new Canadians – recent immigrants that is – tend to have significantly lower levels of crime. Using the Crime Severity Index we have the following result for Canadian urban areas in 2017. The Crime Severity Index is a measure of police-reported crime that reflects the relative seriousness of individual offences and tracks changes in the index – it multiplies the number of each type of offence by a weight that reflects the seriousness of that type of offence. Major Canadian Urban Centres tend to have lower crime rates as measured by the Crime Severity Index. This includes all the major urban centres in Ontario and Quebec, as well as most of those in the Atlantic Provinces. Western Canada has significantly higher crime rates in its major urban areas than Central and Eastern Canada does. Vancouver (including its satellite city Abbotsford-Mission), for example, has a Crime Severity Index well over the Canadian average of 72.9. Almost all the other major urban centres over the average, like Calgary, Winnipeg, Edmonton, and Regina, are in the West. Cities in the East who have crime rates above the average, like Moncton, Thunder Bay, Greater Sudbury, and Brantford are smaller-sized cities. 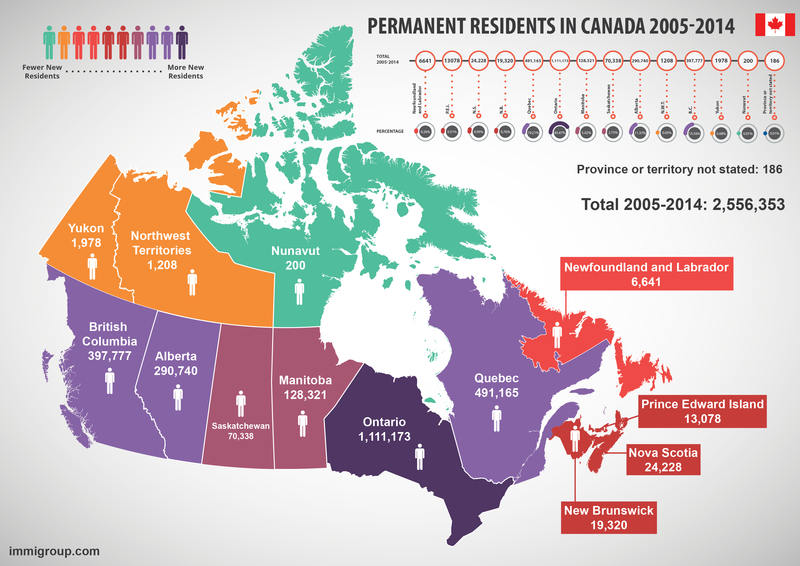 They also tend to be cities with lower relative amounts of immigrants than cities like Toronto, Montreal, and Vancouver. Although one could consider Brantford an exception to this trend. This would seem to imply that immigration has helped Canada reduce its crime rates, although as we’ve stated, there are other factors at play as well like increasing prosperity and perhaps even technological change. And this seems to imply that new Canadians have learned to trust their neighbours more than they might have in their home countries. This despite the cultural barriers that sometimes can make adapting and communicating a little tricky. Is this in fact the case? To find out, let’s see if there is a positive correlation between lower crime rates and higher levels of trust in countries around the world. 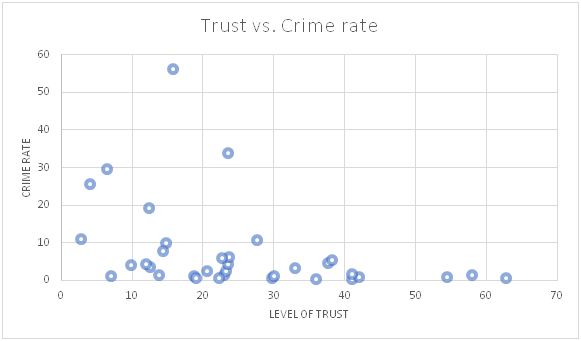 What we see is a rather unique phenomenon where we have a boundary that slopes downward to the right as falling crime rates correspond with higher levels of trust in a society. Behind that boundary there’s a fairly dispersed set of data points, that often reflect different levels of crime in distinct areas of the world with different social structures and values. Some regions have much lower levels of crime for any given level of trust, like in much of East Asia. Others have higher rates of crime for any given level of trust, like some countries in South and Central America, as well as the US and some Eastern European countries. Above the boundary there are two individual data points that reflect two countries where the level of trust is far higher than the very high crime level would imply. Two countries where a statistically significant percentage of people refuse to stop believing in others, despite the violence. Can you guess which two countries they might be? Find out what the answer is below. Being trustworthy means being someone other people trust. Being trusting means trusting other people. So, what the study found was that if you realize that your society is one in which people have a trusting view of others, you will act in a way that is worthy of that trust – or at least enough of you will act in such a way so that on average people will become trustworthy as a result of a society being trusting. That’s exactly the opposite of what you would expect rational economic behavior to dictate. Slemrod and Katuscak add the caveat that the more transparent a society is, the more the financial reward to being trustworthy. That is, if people can observe each other’s behavior and determine individual reputations, then being a rip-off scam artist will result in people not wanting to deal with you and with lower financial pay-off or even losses on your part. The opposite was found to be true in low-trust societies. That is, the financial return on being trustworthy (not cheating others) was found to be negative in countries with low levels of trust. In some ways, it’s a chicken-and-egg argument as to whether low levels of trust in others causes people to behave in a less trustworthy way or vice versa. 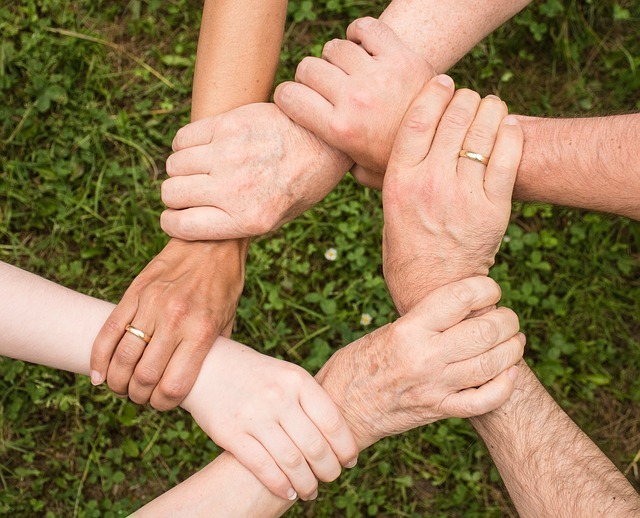 A high-trust society reaps the rewards of a virtuous circle between those who are trustworthy and a generally trusting population, while a low-trust society falls prey to a vicious circle where few people trust one other and people behave in an untrustworthy fashion. So, the question becomes: will new Canadians from countries with relatively high levels of crime and correspondingly low levels of trust, degrade trust in Canada? Will they cause Canadians to start behaving like scam artists? Or is, in fact, the exact opposite what we observe in Canada? Do Immigrants From Countries With High Crime and Low Trust Bring Crime to Canada? Consider Filipino Canadians who come from the Top Ten Source country with the highest crime rate and the lowest level of trust. Where do they live in Canada? As can clearly be seen, there is absolutely no correlation between the size of the Filipino population and the Crime Severity Index level. And even if there was, it could be due to factors that have nothing to do with Filipino Canadians who have quickly developed a reputation for work ethic among Canadians. Winnipeg and Edmonton’s crime problems are in part due to poverty and cultural dislocation among First Nation inhabitants, and these are problems which clearly pre-date and have nothing to do with the very recent waves of immigration from the Philippines. 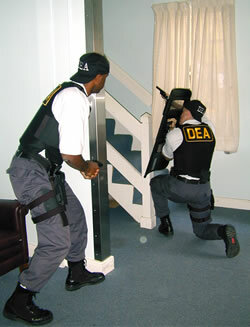 The Top Ten Source country with the second highest crime rate is the United States. Do we hear stories of how software programmers from Minnesota or Kansas are preying on vulnerable victims in North York or Forest Hills? The only time American immigrants are in the news is when they’re having a tough time paying bills because they’re waiting for their work permits or their occupational licenses to be approved. And they’d rather stay – usually with their Canadian partner or spouse – than have to return to the U.S. to earn a living while they wait for their permits. A country like Syria which has seen a large number of immigrants to Canada over the past few years, is one wracked by conflict but one whose official crime rate is relatively low. It may be that official statistics from Syria are fairly meaningless given the current violence and chaos in the country. You will note that there are no available statistics on levels of trust in Syria, which are surely much lower due to the civil war. But refugees and other immigrants from Syria have come here precisely to escape the violence and corruption. And to start over again and hopefully learn to trust their neighbours again. That will mean adapting to conditions in Canada and learning how to live as new Canadians and that can be a fairly involved process. But Canada has in fact developed an immigration program that ensures that new Canadians understand their adopted country’s culture and society. It’s part of the immigration process and its certainly part of the process of passing your citizenship test and obtaining your Canadian citizenship. But more than that, new arrivals in Canada very quickly realize how transparent, hard-working and diverse a country Canada is. If the University of Michigan study we looked at above is correct, this type of a society encourages people to be trustworthy because they realize it will benefit them both in the short and the long run. 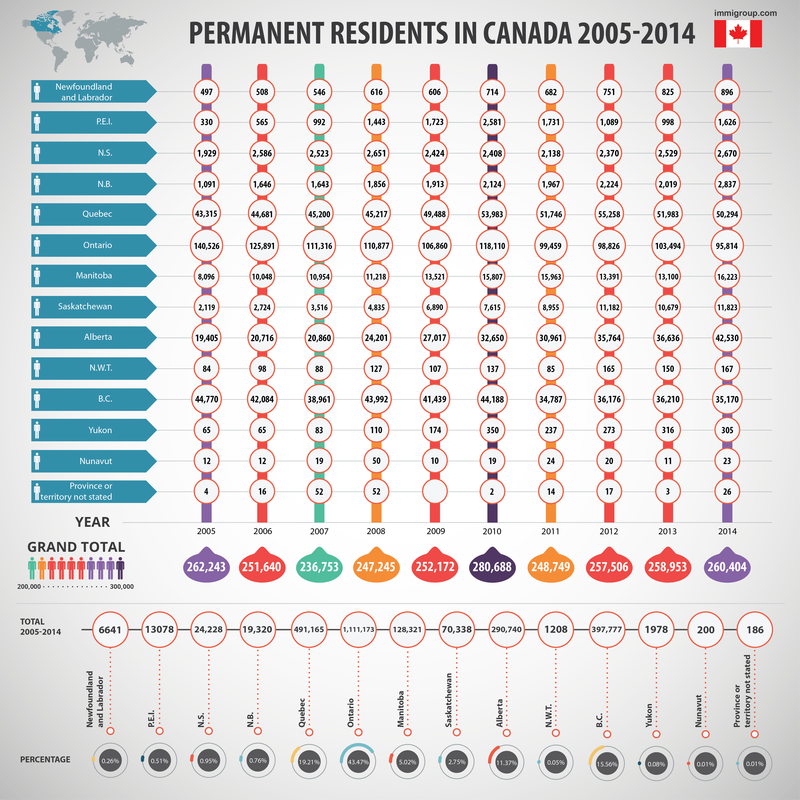 The overwhelming majority of immigrants come to Canada to work hard and build new lives. And Canada’s immigration process carefully screens immigrants to ensure this is the case while at the same time valuing people from around the world and from a variety of cultures. Clearly the more trust Canada can inspire in its new arrivals the more likely they will be to respond in kind. It’s the kind of virtuous circle any nation would be glad to have. Does Immigration Cause More Crime?